Juice WRLD and the Rise of Emo Rap – arts, ink. 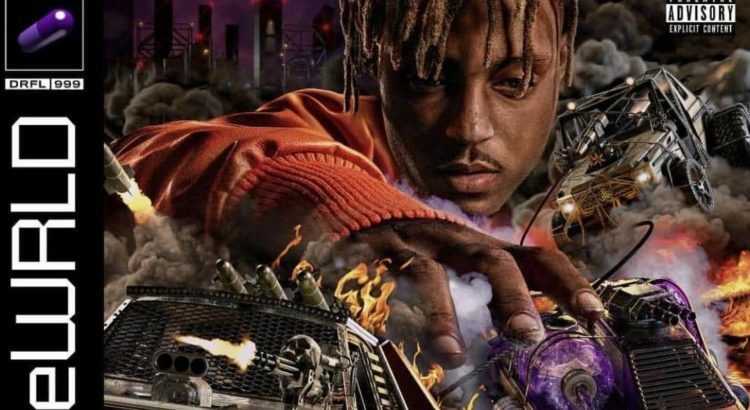 On March 8th, rap artist Juice WRLD (who gained popularity from his single Lucid Dreams) dropped his latest album, called Death Race for Love. The album cover is what caught my eye; it’s in the style of an old PlayStation 2 video game, which made me feel a major sense of nostalgia for the older days. I gave it a listen, and I was surprised to find that it started off strong, with catchy hooks and simple instrumentation. And then I realized there were 22 songs on it. Who in their right mind thought it was a good idea to make an album with 22 songs? Not to mention some of the songs are incredibly short, and the average is about 3 minutes, which is nothing to boast about. Needless to say, I got bored around the halfway mark; I couldn’t distinguish one song from another and I couldn’t even tell you the names of them. It got me thinking though; what is the appeal of an album like this? How is it supposed to be listened to? And that brings me to the recent trend of emo rap. The pioneers of this movement were XXXTentacion and Lil Peep, who have both passed away within the last two years. They were known for simple, melodramatic music, but more importantly for their personalities and presentations. They both gained a large musical following, and their deaths were incredibly tragic. However, rappers like Juice WRLD have carried on what they started. Namely, music that combines the simplicity and lyricism of rap with the themes and ideas of emo culture. Emo culture is a topic in itself entirely, so I won’t try to engage that too much, but basically these rappers appeal to the sadder side of people. Taking this into consideration, it’s easier to see why Death Race for Love is so long and uninteresting musically: the emphasis is on developing a gloomy, mournful, and emotion heavy atmosphere. It’s something you put on in the background when you’re feeling a little down, or on a rainy day when you’re stuck indoors. It’s consistent and without surprises, which makes it perfect for background music. To me, this is a shame; no music should just be reduced to background music. Music is art and should be appreciated as the center of attention. However, viewing the album in this way helps me better understand its appeal, and actually enjoy it. I can’t say there’s anything inherently wrong with Death Race for Love, or really any other emo rap album that has this appeal. They have a purpose and they achieve it well, even if it’s a bit self-deprecating. In the long run, I don’t think these albums will be classics, they’re just too forgettable. But I do think they’re part of a unique movement, and I’m sure it will only get more interesting in the future.